Mega Gems offers an ethereal look at what feels like an outer space movie where astronauts are assigned to move some precious Earth gems to another planet for safe keeping. Set on a high-tech background that has strobe light movement, giving an electronic spaceship feel to the interface. The interface is quite calming, as is the music. The deep blue helps to set off the mega brightly colored gem symbols which are extremely vibrant. 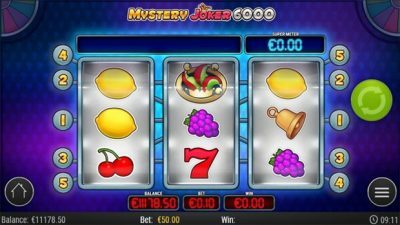 There are some great wins to be had from the free spins and a good progressive jackpot that is on offer. The game can be played seamlessly on your laptop, mobile phone, and all other electronic devices. Mega Gems calmly makes its way through 10 paylines on 5 reels. Wins are welcome when they arrive at medium volatility, and wins can be formed from left to right. The reels are filled with brightly colored and polished stones in shades of blue, red, yellow, green, white, orange and red. The Special symbol on the slot is the wild symbol, which is a colorful hexagon symbol that lands on reels two, three and four. The control panel further elaborates on a spaceship theme which looks to be the navigational panel of this spaceship that is transporting gems to another planet. From left to right on the bottom of the reels is choose line, select lines, bet per line, spin and max bet spin, as well as autoplay. You can view the pay table on the top right of the reels under view pays. Each time the wild symbol lands anywhere on reels 2, 3 or 4, they will expand to fill that entire reel or reels. You will then receive one free re-spin while that expanded wild remains in place. If another wild lands on this re-spin you will then receive one further spin with both expanded wilds in place, meaning more chances for more significant wins. The progressive jackpot total is shown above the reels, and it will change depending on your bet size. 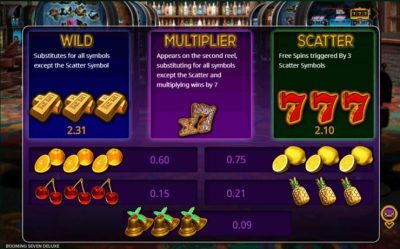 To win it you must land three stacked Jackpot symbols on reels two, three and four, covering them completely. You will walk away from Mega Gems feeling like you have been to a meditation retreat. If nothing this has to be the most relaxing Bitcoin slot anyone can ever. The interface stark and a perfect platform to show off the jewels on offer. There were not too many features, which may have been the provider’s intention, in keeping with the peaceful feel of the game. Mega Gems is highly recommended to those of you who are in need of time out from the manic busy world.